My books, poems, and stories have won many awards, including: the Caldecott Medal, two Nebula Awards, the Rhysling, an Asimov’s Magazine Reader’s Poll award, World Fantasy Award, a National Book Award nomination, three Mythopoeic Fantasy Awards, the Golden Kite Award, the Skylark Award, Jewish Book Award, two Christopher Medals, the Association of Jewish Libraries Award, the Charlotte Award, the Garden State Award, the Golden Sower Award, and others. 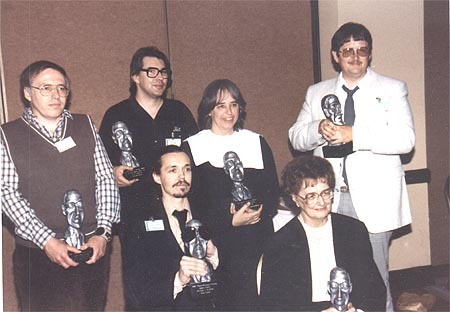 I have also had several body of works awards from such diverse groups as the Catholic Library Assn., the University of Minnesota, Keene State College, the Oklahoma Libraries, the Boston Public Library, the New England Science Fiction Association, and a Lifetime Achievement Award from the World Fantasy organization. To see more about individual awards, click on their pictures. Caldecott Medal Given each year by the American Library Association for the “most distinguished picture book” (though the medal itself is given to the illustrator), this is one of the two most important awards in all of American children’s literature, the other being the Newbery Medal. The gold seal on the book itself forever marks it out as a Caldecott book. 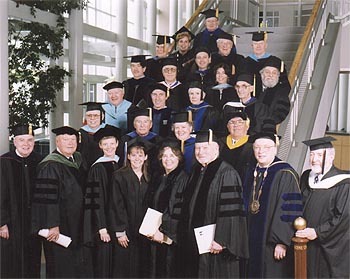 Winners are chosen by a committee of librarians. Owl Moon won a Caldecott Medal in 1988 for illustrator John Schoenherr. 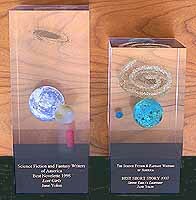 Nebula Award Given each year by the Science Fiction/Fantasy Writers of America (SFWA) for the most distinguished writing in the field of science fiction and fantasy in four categories–novel, novella, novelette, and short story. The awards–rocks representing planetary systems embedded in lucite–are each subtly different. Winners are chosen by a vote of SFWA members. 1997: Best Short Story “Sister Emily’s Lightship“, first published in Patrick Nielsen Hayden’s Starlight. The Golden Kite Given annually by the Society of Children’s Book Writers and Illustrators (SCBWI), in several catagories, for the most distinguished books by members of SCBWI. There is a committee consisting of an author, illustrator, librarian, bookseller who vote on the submissions. The award is a statuette of a child flying a kite, with plaques for honor books. These two separate awards are given annually. The Sydney Taylor is a children’s book award; the Jewish Council awards come in a variety of book categories. They come with certificates and a monetary award as well. 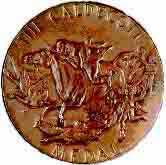 Christopher Medal Given annually by the Christopher Society to books that are seen as shining a light on to the world. A bronze medallion is presented. 2000: How Do Dinosaurs Say Goodnight? The California Young Reader Medal is given to four books in four age categories annually; nominated and chosen by California young readers. 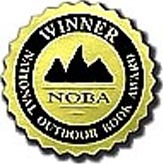 Mythopoeic Fantasy Award Given annually at Mythcon, the award honors the best fantasy novel for adults, the best fantasy novel for children, and the best critical/academic book on the subject of fantasy. 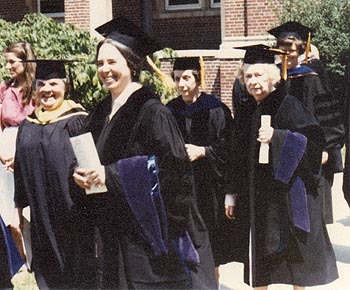 The Mythopoeic Society began as an organization studying the works of the Inklings– J. R. R. Tolkein, C. S. Lewis, etc. It now explores works of the fantastic in general. The award is a statuette of a white lion (Aslan, from Lewis’ Chronicles of Narnia) and is voted on by members of the organization. World Fantasy Award Given annually at the World Fantasy Convention, awards go to a short story, novel, non-fiction, editor, and a special award for a person or a piece that does not fall easily into a catagory. Award is a statuette by Gahan Wilson. (Looks better with a crocheted hat on!) Vote by a special commmittee after nominations from members of the last year’s convention. For outstanding contributions to the literary genre of storytelling. Talking Leaves Literary Award is presented to those members of the storytelling community who have made outstanding contributions to the literary body of storytelling as authors, editors or collectors. 1990 Regina Medal, Catholic Library Assn. 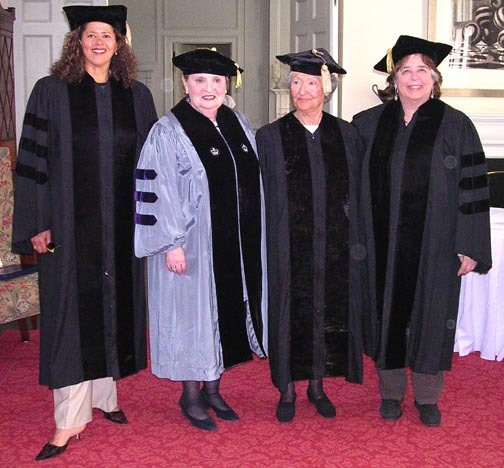 2003 Recipients of Honorary Doctorates from Smith College, Anna Deavere Smith, Madeleine Albright, Cornelia Hahn Oberlander, and Jane Yolen, May 18, 2003. 1995 Bulletin of Center for Children’s Books Blue Ribbon: Ballad of the Pirate Queens.